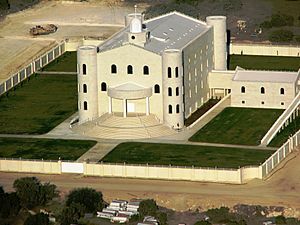 The Fundamentalist Church of Jesus Christ of Latter Day Saints (FLDS) is a religious group. It broke from the Church of Jesus Christ of Latter Day Saints, a Mormon movement, in the 19th or early 20th century. It is believed the church had about 10,000 members in 2009. These live in the sister cities of Hildale, Utah and Colorado City, Arizona; as well as Eldorado, Texas; Westcliffe, Colorado; Mancos, Colorado; Creston and Bountiful, British Columbia; and Pringle, South Dakota. Fundamentalist Church of Jesus Christ of Latter Day Saints Facts for Kids. Kiddle Encyclopedia.